On March 5th, the final home game of the regular season, we took our hats off for Lt Col Dr John Carnahan. Dr. Carnahan spent 20 years in the National Guard and served as the Medical Commander of the 184th Medical Group. He led multiple missions bringing care to the poor in Peru, Honduras, Alaska and Italy. 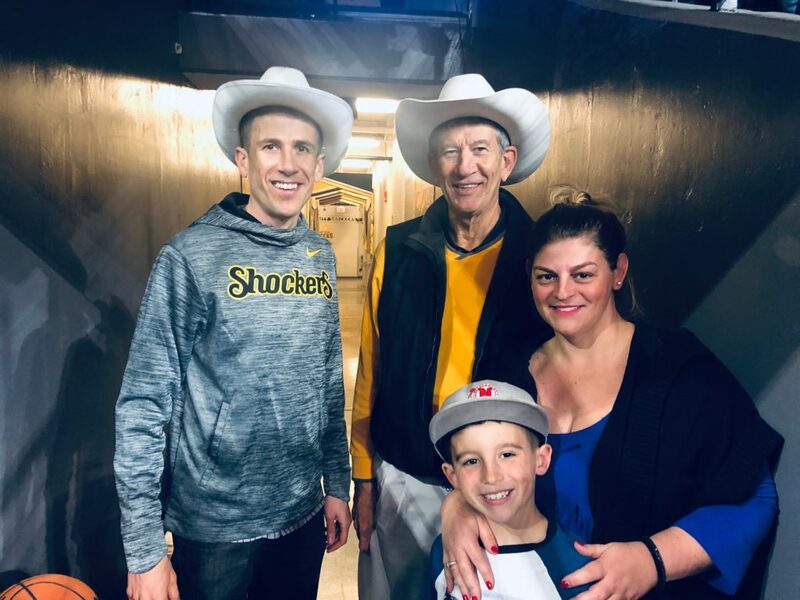 Carnahan now teaches future dentists at WSU where his students fittingly call him the “WU SHOCK DOC.” What a great way to end the regular season at home on Senior Day with a Shocker win against ECU! Command Sergeant Major Grady Thomas served in the Army in the Dominican Republic, Korea, Vietnam, Panama and Germany from 1960-1992. His many decorations received during his 32-year career include the Silver, Bronze with Valor and 2 Bronze Stars as well as 2 Legion of Merit, Purple Heart, 3 Meritorious Service, 4 Army Accommodation, Air and Humanitarian Medals. CSM Thomas is a Master Parachutist as well as a Combat and Jungle Expert. We were honored to watch such a fun game with you, sir. The energy and buzzer beater ending coincided well with honoring his heroism! Michael served in the Marine Corps from 1971 until 1997. During his 26-year Marine career, Michael fought for our freedom in the Vietnam War, Fall of Saigon, Evacuation of the American Embassy, Iranian Rescue Missions and the Gulf War. He holds multiple Navy medals as well as National Defense, Humanitarian and Good Conduct medals. 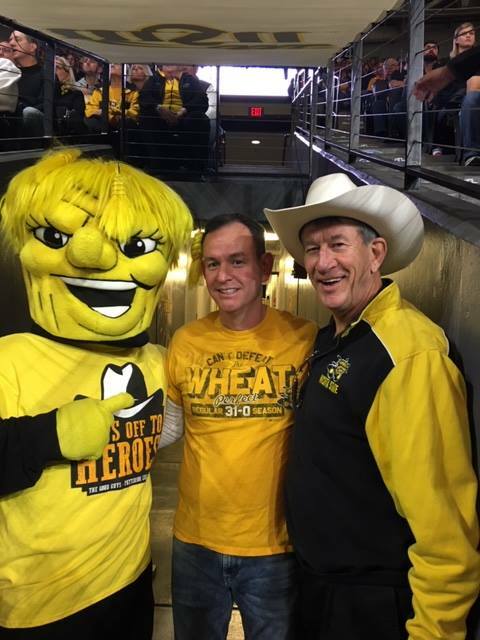 Mr. Sperlazza is a longtime Shocker, serving as the Director of Postal Services at WSU since 1997. 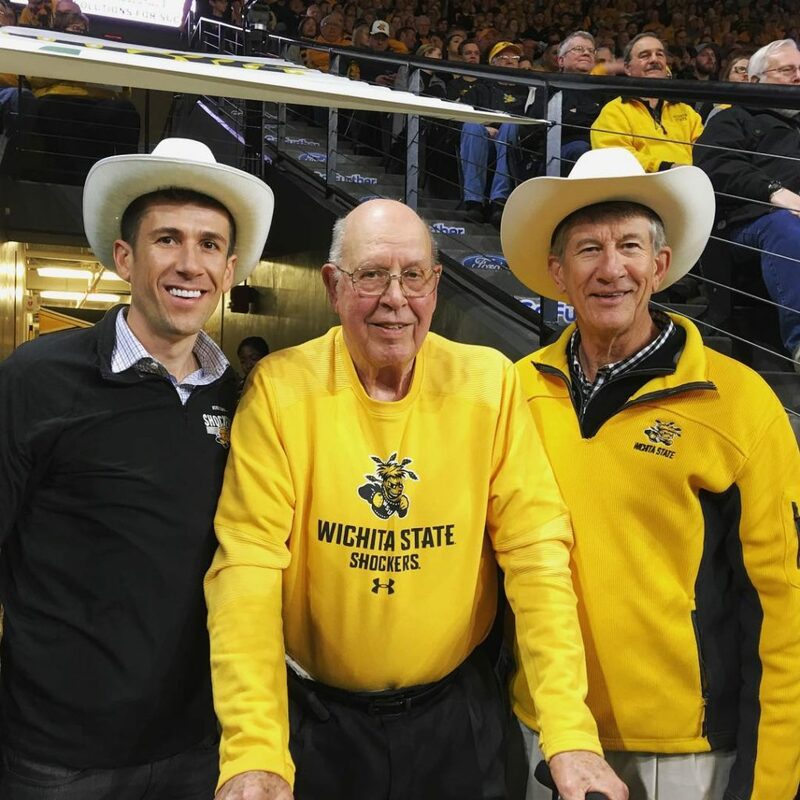 It was an honor cheering on WSU against Memphis. Thank you for allowing us to honor you, Michael. Our hats go off to you, sir! 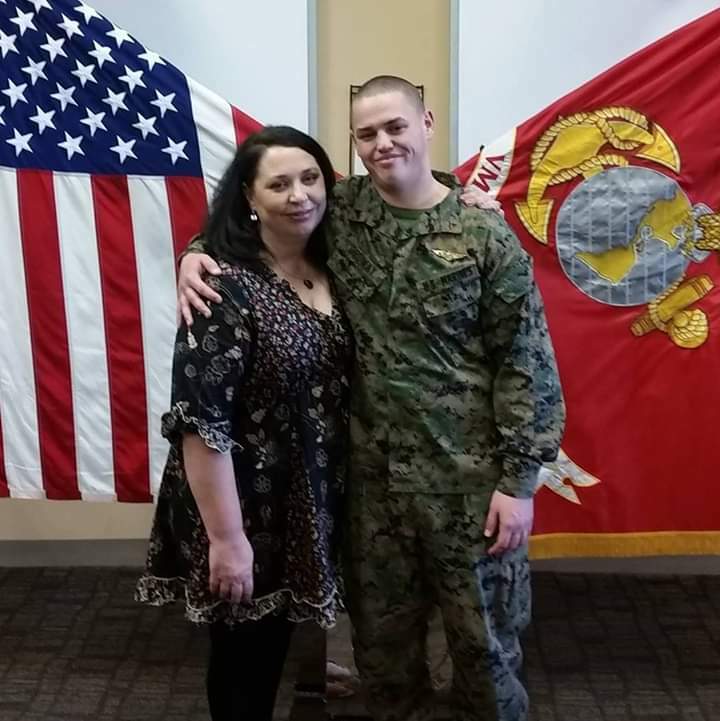 Kat Ordway’s son, Nathan, was a Corporal in the Marine Corps and stationed in Okinawa, Japan, in 2017. On August 5th, he was deployed as Flight Chief on a joint training mission with Australians when their Osprey went down in the coast. Nathan and a fellow pilot gave their lives to save 23 of 26 servicemen. Kat’s family is now referred to as a “Gold Star Family.” We were proud to honor not only Nathan’s heroic actions, but Kat as a hero for handling the daily loss of her son. 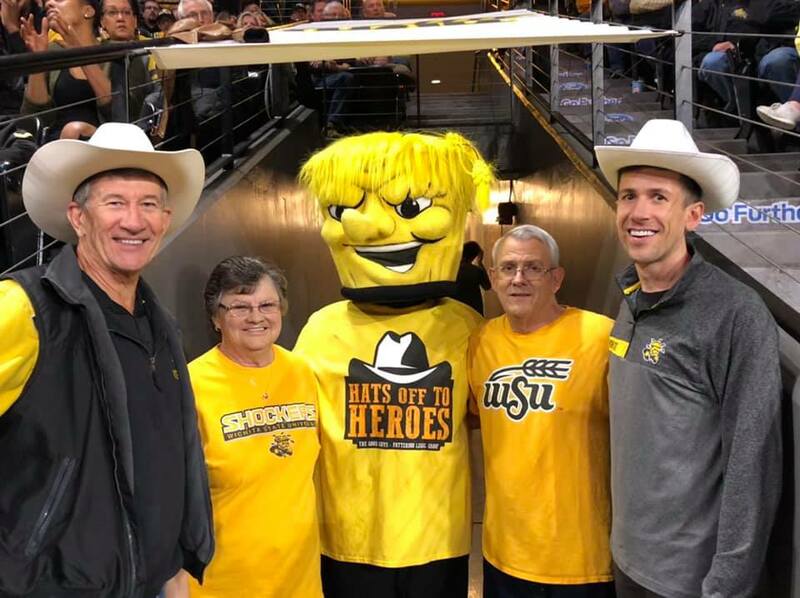 Our hats went off to Nathan and Kat at last Saturday’s Hats Off to Heroes presentation during the Wichita State game. Thank you for watching WSU win against Tulane with us, Kat! William Bloomer served in the U.S. Marine Corps for 31 years, where he earned the title of Brigadier General. General Bloomer later graduated the U.S. Navy Test Pilot School, becoming a Flight Instructor in the military. His many assignments included flying 330 combat missions over Vietnam from 1968 to 1969 and helping with the evacuation of Saigon in 1975. General Bloomer’s many awards include 2 Legions of Merit, Distinguished Flying Cross, Bronze Star and 17 Air Medals. After retiring from the Marine Corps, General Bloomer went on to pursue a distinguished civilian career with American Protective Services, the fourth largest contract security company in the nation. He was a Principal Officer with the company for 14 years and rose to become Executive Vice President. Among his long list of military accomplishments and awards, General Bloomer also has one of athletic interest. In college, he also played against WSU all-time leading scorer, Cleo Littleton. Our hats go off to you, General Bloomer! Randell Mosher joined the KS Highway Patrol more than 30 years ago. In 2018, Randell’s quick response to a near-fatal dog attack saved a boy’s life. Captain Mosher received an award for saving the boy and has an array of awards including Kansas Highway Patrol Superintendent’s Award, multiple Kansas Highway Patrol Commander’s Awards and KDOT’s People Saving People Award. “Randell has had many many accomplishments in his career. If his guys are called to a situation – he goes, too. One of the hardest parts of his job is death notifications to families after an accident. Some of the things he has seen over his 30+ years nobody would even understand. He genuinely cares and goes above and beyond for his troop. He fights for his men and stands up for what is right. He always answers that phone day or night,” says his wife, Mitzi, of Captain Mosher’s dedication. Thanks for being our game hero, our hats go off to you!! Rather than taking credit for his service, Jon humbly prefers to be called a “representative” of the 58,220 fallen in Vietnam, where he served in 1968-1969. Jon was awarded 2 bronze stars as well as 2 army commendations medals for his Vietnam service and good conduct. 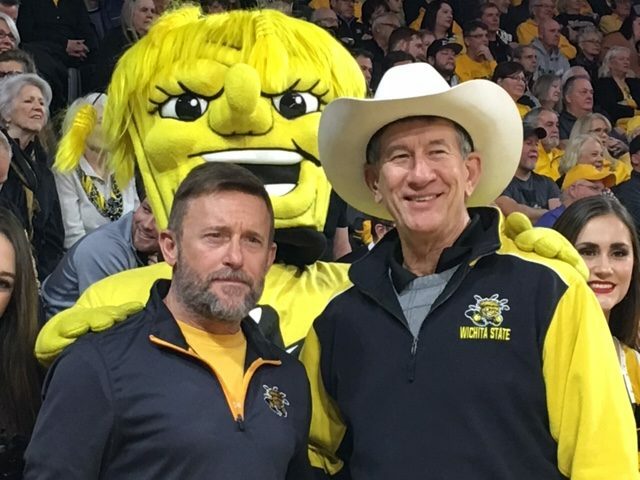 Jon did not miss a home or away game for the Shockers Men’s basketball team from 2009-2018. Jon defines the words hero and humility – an exemplary combination of heroic character. Thank you to all who have fallen and for your service to our country, Jon. 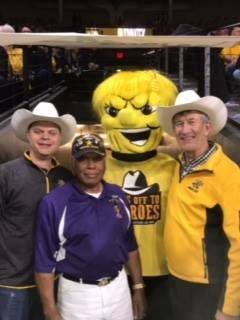 It was an honor to watch the Shockers win with you last night! Glenn “Travis” Clark is actively serving as a Lieutenant Colonel in the United States Air Force Reserve Command. He is currently the 931 Air Refueling Wing Chief of Standardizations and Evaluations as well as McConnell Air Force Base’s most senior KC-135R instructor/evaluator pilot. Clark enlisted as an Inflight Refueling Specialist in 1991 and upon pilot training graduation, joined the 931 ARW at McConnell AFB in 1997. During his 28 years of service and 65,000+ hours of flight time, Glenn has been deployed multiple times in defense of our Country. On 9/11/2001, hours after the attacks, he commanded the first KC-135 mission to provide air refueling coverage over the Pentagon. Lt. Col. Clark has 100+ combat missions and was also flying during the “Shock and Awe” opening night of Iraqi freedom. He is a veteran of multiple missions including Deliberate Guard, Deliberate Force, Allied Force, Noble Anvil, Noble Eagle, Enduring Freedom, Iraqi Freedom, New Dawn, Odyssey Dawn and Inherent Resolve. 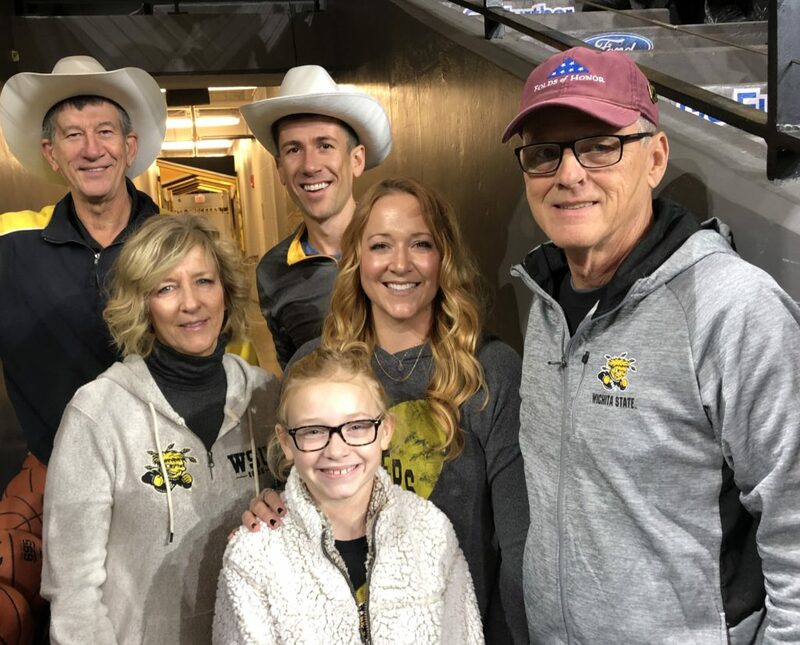 Glenn and his wife, Angela, have been proud Shockers season ticket holders for the last 8 years. 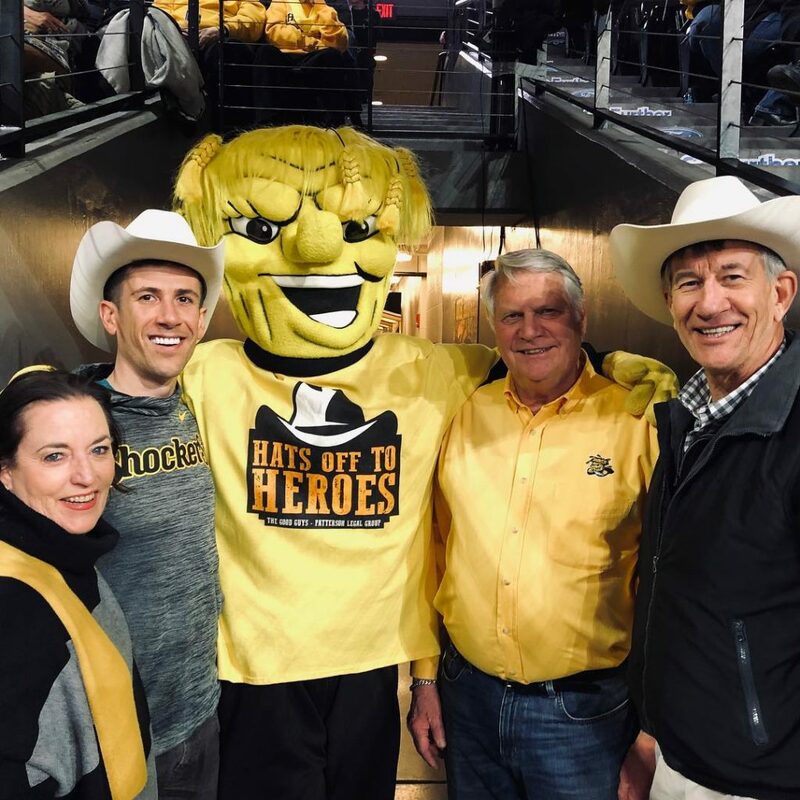 Despite his incredible list of feats, Lt. Col. Clark displayed humility stating, “I have flown all these missions and am so very nervous about receiving this award.” Clark received a heartfelt standing ovation from Shocker fans as he was announced as our Hats Off to Heroes award recipient at the game. We are beyond honored to include Lt. Col. Glenn Clark in our Hall of Heroes! Richard Norwood is a retired Naval Aviator who served with distinction in key leadership roles on land and sea for over 31 years. During his time in the Navy, Norwood accumulated over 7,000 mission-related hours locating, tracking, and restricting Soviet submarines during the Cold War. Additionally, the squadron he commanded received over 300 mission-related accolades during this time. After his leadership and innovative techniques were noticed and applauded, Norwood was chosen to lead a Bonus Command that trained all P-3 Orion, the Navy’s lead anti-submarine warfare aircraft, aviators and crewmen. His success during this assignment got him noticed. The Pentagon came calling and offered him a senior staff position leading a fleet of P-3 Orions. He was personally responsible for 6 squadrons, 54 aircraft, and over 2,000 aviators and crewmen. His fleet was instrumental in aiding the end of the Cold War. Since his retirement from the Navy, Norwood has worked with a number of aerospace companies as Vice President and Director/Consultant for Domestic and International Business Development. With an extensive resume that has taken him from the cockpit to the boardroom, Norwood displays leadership qualities and accolades that are hard to come by. 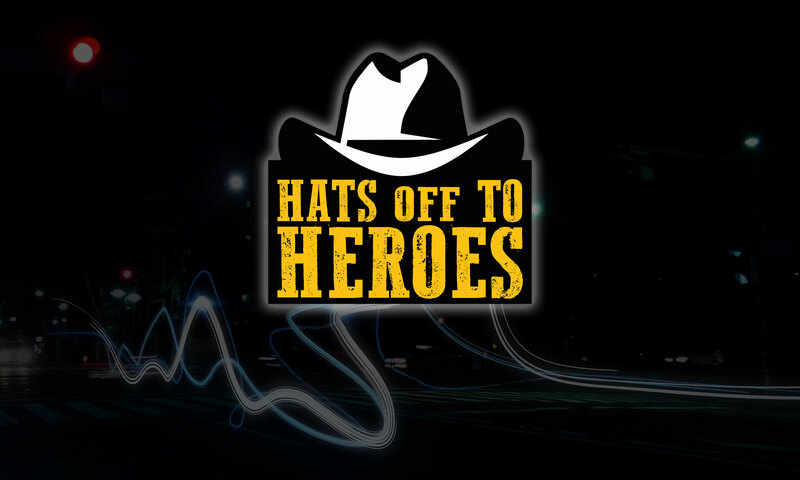 His dedication to country and cause is unparalleled, and we are honored to have him as our first recipient of the Hats Off To Heroes 2018/19 award! Richard Huffman is a retired Army combat medic who served two tours in Vietnam between 1969 and 1971. During his military service, he fought with the 2nd/12th First Air Calvary and received a number of accolades that included the Combat Medical Badge, Air Medal, Bronze Star, and Army Commendation Medal for Valor. Upon returning home, Richard protected his community as a Sheriff’s Deputy in Newton, Kansas. 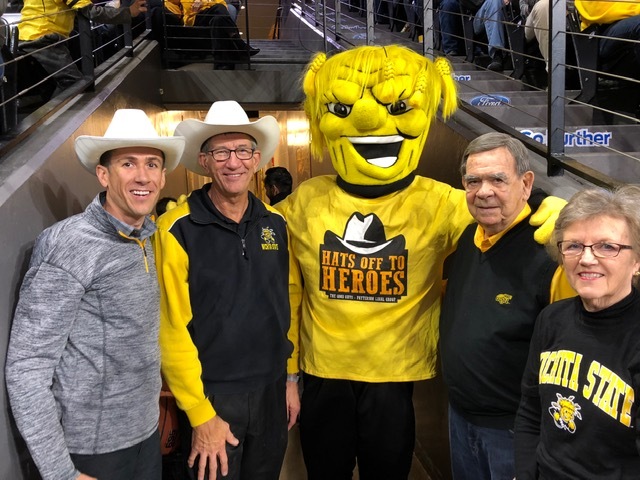 An honorable veteran and die-hard Wichita State fan, Richard said that he was “proud and honored to serve my country” and to “never forget!” Richard put his life on the line to protect his comrades on the battlefield and his fellow citizens in his hometown. His selfless display of sacrifice for county and community is nothing short of inspiring. We thank him for his years of service and are honored to present him with the second Hats Off To Heroes award of the season! Jessie Woodrow is a 7-year sergeant with the Kechi Police Department. Through her years of service for the Kechi community, she has come to be known as someone who is always rising above challenges. 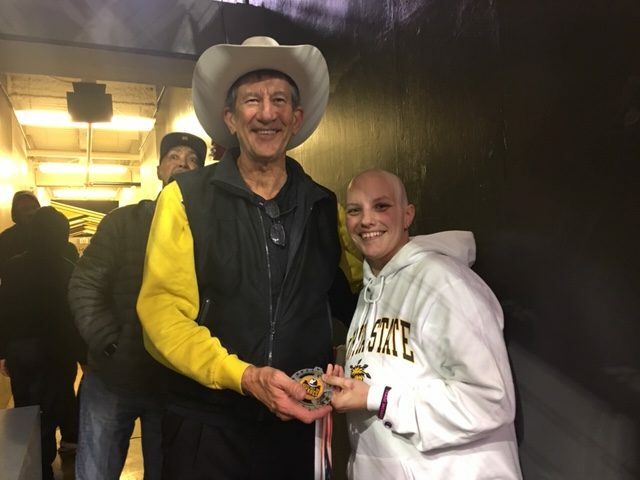 In October 2018, Jessie was unfortunately diagnosed with triple negative breast cancer. A fighter at heart, Jessie continues to protect and serve full time while undergoing chemotherapy treatments. Always looking to extend a helping hand, Jessie and her family also provide bullet-proof vests to police K-9’s through their non-profit, the Four-Legged Project. 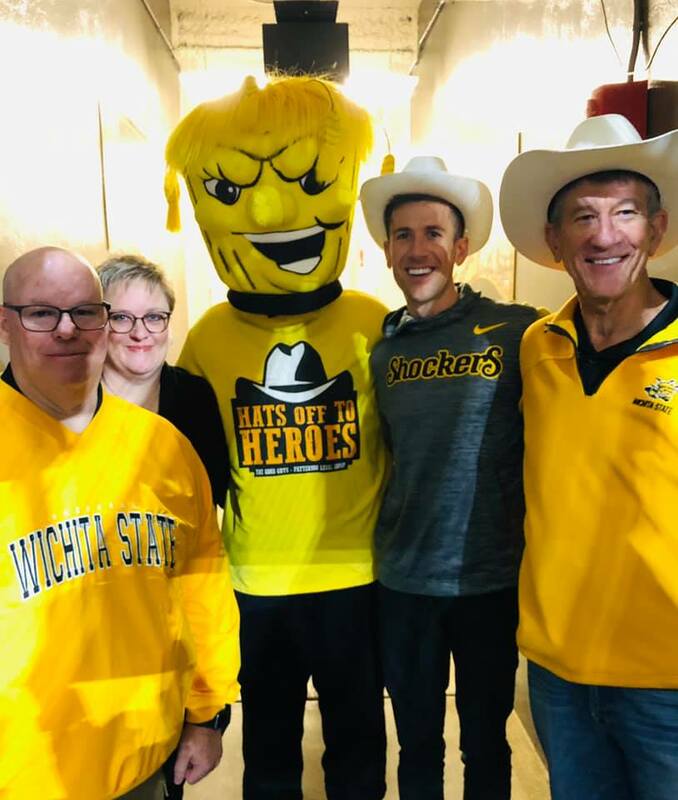 Her insatiable desire to help those around her combined with her fighting spirit to never give up are just two reasons she deserves to be recognized as the latest Hats Off To Heroes award recipient! We thank her for her service throughout the years and encourage her to never stop smiling! Michael Gann is a Marine Corp Colonel with over 35 years of worldwide service. Colonel Gann fought multiple combat tours that included the Gulf War, Somalia, Iraq, and Afghanistan conflicts. Colonel Gann received numerous awards throughout his service including the Defense Superior Service Medal, the Legion of Merit, and the Bronze Star. Colonel Gann displayed exceptionally superior service during his time as Director, Indo-Pacific Directorate, Defense POW/MIA Accounting Agency. Gann managed and assisted in the accounting of missing Americans from the nation’s previous conflicts within the Indo-Pacific region. He executed over 247 missions throughout the area in addition to diplomatic engagements. Colonel Gann’s long service to this country has not gone unnoticed. He has helped maintain the security of our nation through some of it’s most difficult times. 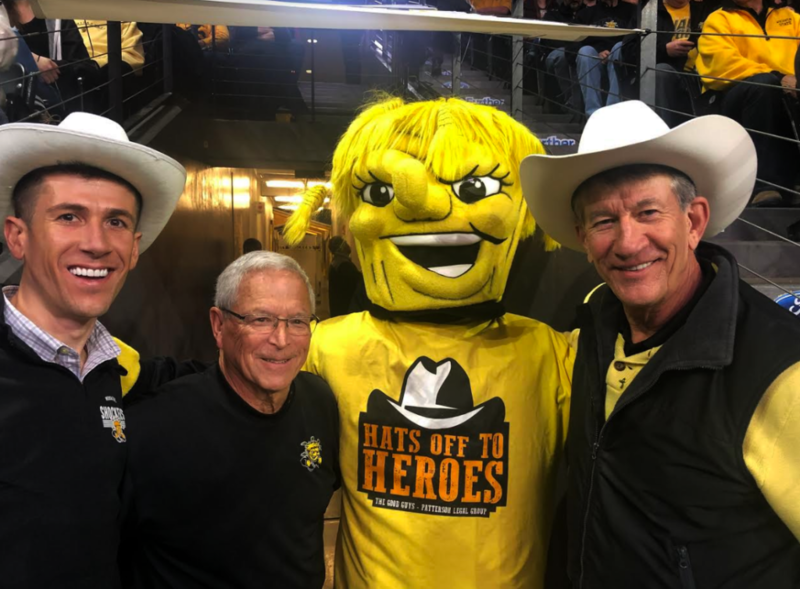 We sincerely appreciate everything Colonel Gann has done for this nation and his community! Change can start with one idea. That’s what happened with Maggie Ballard while scrolling through Facebook. After seeing the concept of mini-libraries posted on busy street corners where residents could take or leave books, Maggie and Paxton Ballard thought of a similar idea to help Wichita’s less fortunate. This is where Paxton’s Blessing Box was born. These free-standing pantries are stocked with anything from canned goods to hygiene products and are accessible to anyone in need. In October 2016, the Ballards set up their first blessing box. Two years later they have 44 locations in Wichita and the surrounding area. One box goes through nearly $100 a day; which is completely funded by donations from the surrounding community. With their goal to have at least one box in every state, Paxton and Maggie have no intention of stopping in Kansas. Feel free to check out their Facebook page here!